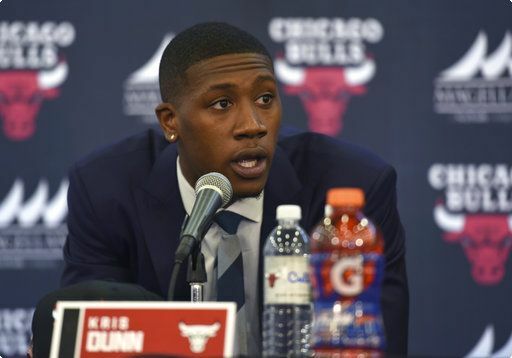 Kris Dunn was introduced yesterday by the Chicago Bulls in a press conference for the three new additions to the team, along with Zach LaVine and Lauri Markkanen. Here’s a quick video to Bulls fans that Kris did the day before the conference when he got to Chicago. This was probably the best part of the conference for me, Kris acknowledging the downs from last year and putting in the work to make sure he doesn’t have another year like that. Hard work and dedication. Dunn will be sporting number 32 next year which will seem odd as he’s worn number 3 since his High School days with New London. 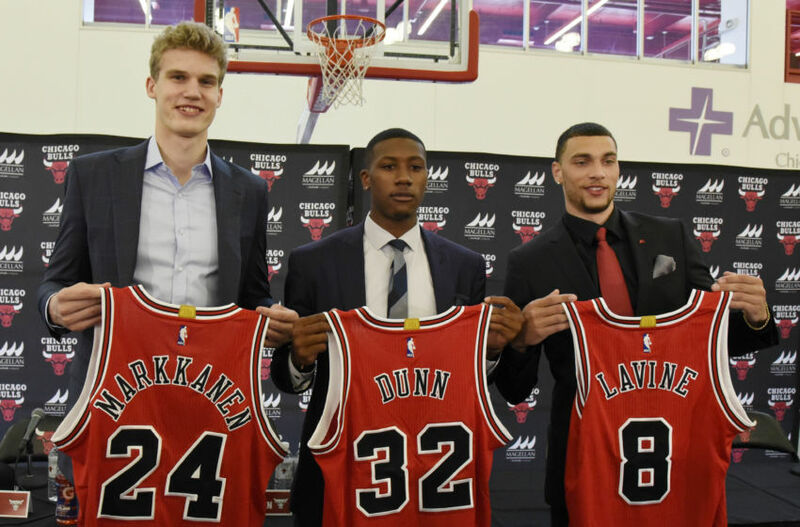 Perhaps the best part of the entire press conference was who actually showed up to support Kris in his transition to his new team…that’s right, Tommy Planek. That’s what’s so great about the Friars. Friars both past and present show up to support their fellow Friars. That’s the culture that Ed Cooley is always talking about. Tommy Planek is from Oak Park, Illinois so he’s just a stone’s throw from Chicago, but it’s great to see these two Friar legends back together.